Overwatch League is coming down hard with a mass punishment. A mass punishment hit the Overwatch League today, with three players and one coach facing warnings, bans, and fines for bad behavior. Overwatch League officials announced today that Timo “Taimou” Kettunen and Félix “xQc” Lengyel of the Dallas Fuel, Tae-yeong “TaiRong” Kim of the Houston Outlaws, and Ted “Silkthread” Wang of Los Angeles Valiant have been handed punishments for breaking the league’s rules. Severity of violations vary, but xQc’s punishment is the most severe—likely because he’s a repeat offender. 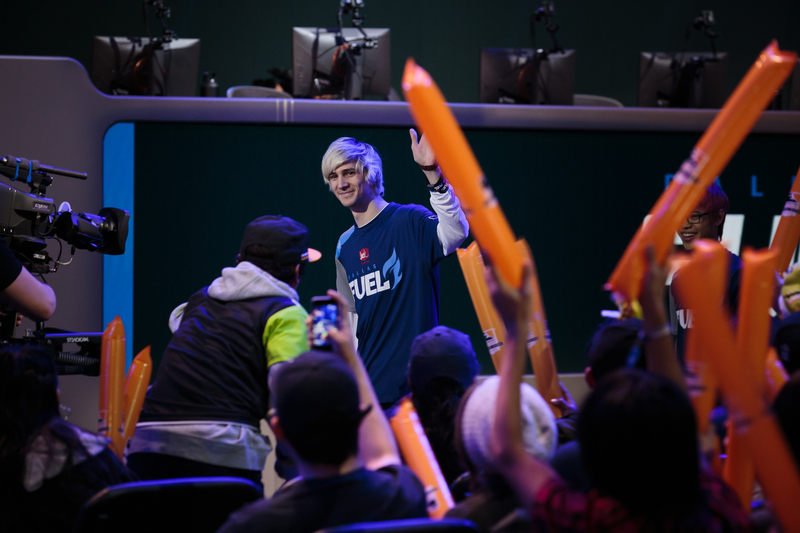 XQc has been suspended for four matches and fined $4,000 for using an emote “in a racially disparaging manner” on the Overwatch League’s stream and on social media. The Dallas Fuel tank player spammed the “Trihard” emote—the face of Twitch streamer Mychal “Trihex” Jefferson, a black man—when Overwatch League host Malik Forté appeared on stream. “In the Overwatch League channel I posted ‘Trihard’ 187 times total,” xQc said during a recent livestream. He added that it was an accident that it was posted while Forté was on camera. Overwatch League also cited xQc’s “disparaging language” used against both casters and players on social media and on stream for his suspension and fine. XQc called the Overwatch League’s casting “cancer” earlier in March. XQc was suspended for four days and fined $2,000 in January for making homophobic comments about a fellow Overwatch League player while streaming on Twitch. Dallas Fuel suspended the tank player for the rest of Overwatch League’s first stage. Dallas Fuel tank player Taimou has been fined $1,000 for the use of anti-gay slurs on his Twitch stream on Jan. 23. Taimou issued an apology on March 8. The allegations against Taimou only came to light in early March after ESPN published a report documenting the slurs. Houston Outlaws coach Kim received a formal warning for posting a xenophobic meme on Twitter in February. The meme featured an offensive joke about the 1945 atomic bombings of Hiroshima and Nagasaki by the United States military. Kim apologized later in a TwitLonger post. Kim also donated $1,000 to the Hiroshima Peace Culture Foundation in addition to his apology. Silkthread also faced Overwatch League’s hand of justice, as he’s been fined $1,000 for account sharing. Details of Silkthread’s behavior are not known. Two Shanghai Dragons players, Fang “Undead” Chao and Liu “Xushu” Junjie, were punished by their team in December for a similar offense. Though its public response to some of these events was slow, Overwatch League appears to be taking player behavior serious.